Remember that odd game Tomodachi Life for the 3DS, or the less fun but kind of same Miitomo on smart phones? 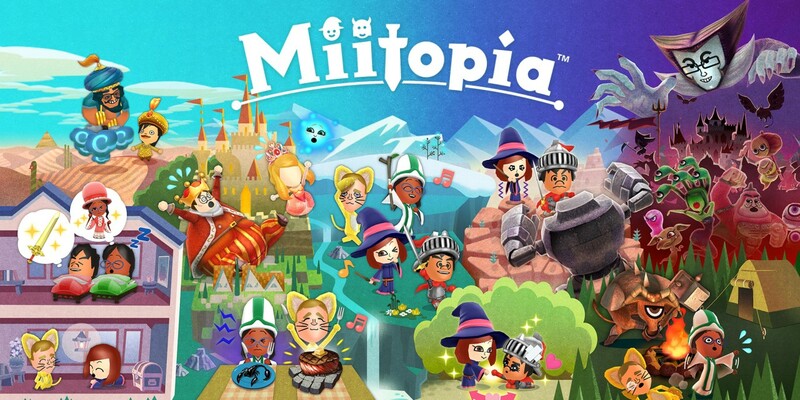 Miitopia is kind of like those games if you took the concept and execution but put them in a role playing game. As such, you are the star of the show, and you get to direct who the players are in your story. Easily the biggest draw to the game, Miitopia allows you to create, edit, and change the entire cast of the RPG as you play it. That means you get to decide who the player characters are, who the big bad guy will be, and even who the villagers and NPCs will be! A lot of the enjoyment of Miitopia stems from the comedic interactions your creations have with one another. Throughout the journey, your party members will talk with one another, offering up funny little quips and anecdotes that are usually worth a smile or chuckle. Again, if you’ve played Tomodachi Life/Miitomo you’ll know the type of kid-friendly humor I’m talking about. While some jokes fall flat, there are the occasional ones that really hit home in an almost uncanny way. For example, in my party I created a friend who really likes going to buffets, so when we came across a random piece of food on the ground, he immediately ate it and said something like, “I’ll eat everything!” and it just seemed fitting enough to actually be accurate. Such moments don’t come up often, but they do make for a more enjoyable experience. Unfortunately there isn’t much else to do but hope something funny happens, as the RPG elements are lighter than light. Battles are mostly automated, with you only have full control over your main player character. Even then, you don’t have many options to choose from. There’s a basic weapon attack, abilities you can use from your class, and lastly an option to use a recovery item. It’s barebones to say the least, but that issue is compounded when the game’s generous difficulty comes afront. After you select your stage in an overworld map, you traverse automatically through the stage, only stopping to engage in the occasional battle or open up a chest. After a few battles/interactions, you come to an Inn, where your party is instantly brought up to full HP, recovered from any status ailments, and starts a new day. I get the game is trying to be accessible, but it’s insulting how easy it is. Oddly enough, there’s more to do in the Inn than just recover your HP and MP. 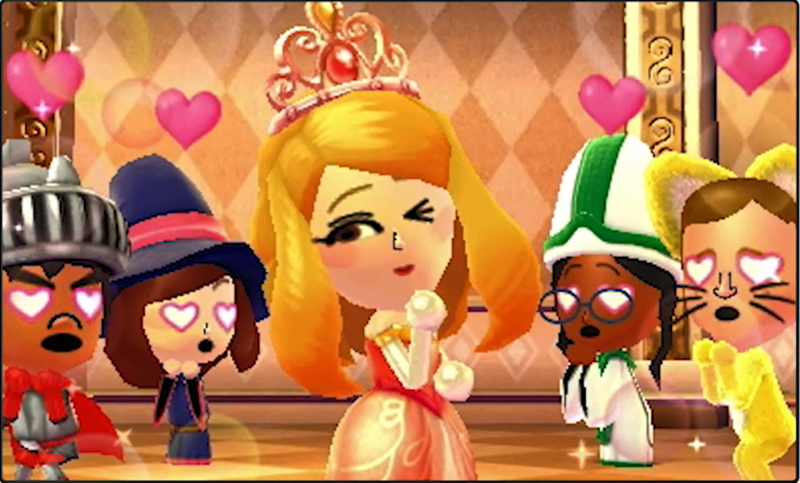 If you have any two Miis sharing the same room together, they’ll relationship will grow, eventually leveling up. When two Miis get along better and grow their relationship, they gain special abilities in battle. For instance, if two characters start to really like one another, they’ll cheer each other on in combat, enhancing their damage, adding elemental abilities to attacks, and in general doing better in the fight. The opposite is also true, so if two Miis aren’t getting along (which only happens from a randomly triggered event) then they’ll bicker with each other in combat, resulting in less damage or even damaging themselves! It’s a fun touch that adds a layer of depth to an already shallow game. The final piece of gameplay is stat management. This is done in more than just equipping new weapons and armors, which certainly do improve your overall strength and defense. You also have the option while at an Inn to feed your characters. Downed enemies will sometimes drop food, and every character has their own personal likes and dislikes which affects how much stat improvement they’ll receive. It’s a fun little side game, discovering all the new foods, who likes them, and how much stronger you can make your team. Also worth noting are the different classes you can choose from. They don’t greatly alter gameplay, but there’s some fun classes such as the Pop Star who uses a microphone to sing their enemies to death, as well as the Flower, which is just a Mii dressed up like different flowers that dances to perform magical attacks. Again, it’s all very charming, but your choice doesn’t really matter when the game is just too easy. Miitopia is still a fun game, don’t get me wrong, it just isn’t a very engaging game. I had a good time with it because I created a world inhabited by all of my friends and family. Because of this, seeing two people who are married in real life start to get along in the game is even more rewarding. And seeing the sometimes hilarious situations the characters can get in is also worthwhile. I do wish the actual RPG gameplay was of some type of substance. As it is, the game is just too easy. 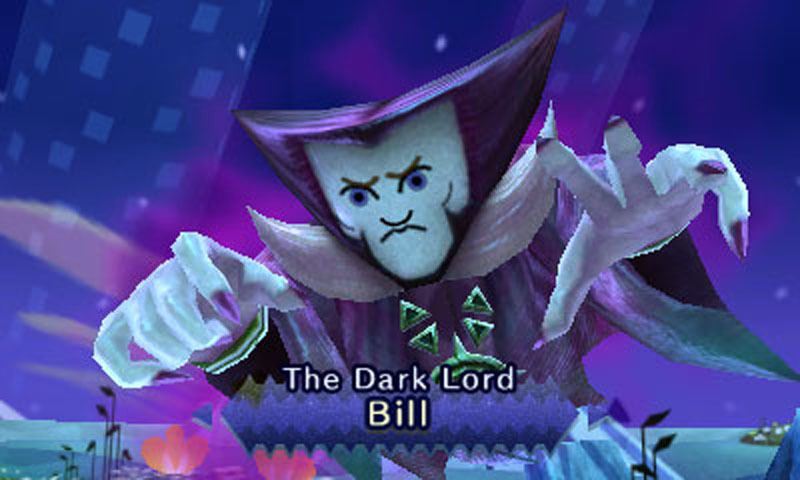 There are so many good ideas in Miitopia, but I think the game falls short on most all of them by trying too hard to be easy on the player. Here’s hoping we get a more fleshed out sequel on the Switch sometime soon! Previous PostWho Knew Dating Fried Chicken Could Be So Fun?